I’m not sure what is sweeter than this display of love. I had put Julia on the couch, and Emily had proceeded to climb up to play with her. 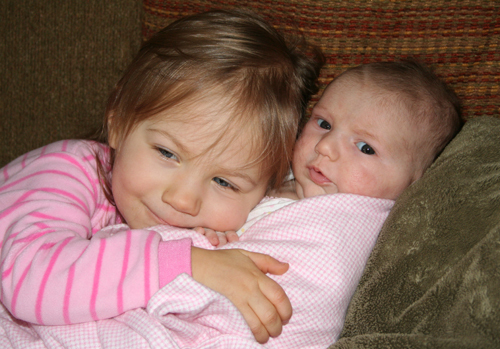 Hugging and kissing is one of her favorite games to play with her sister. After hugging her she got a blanket, laid down next to Julia, and covered the two of them up with the blanket. I guess she wanted to play night-night with Julia.